Why Should I Edit Video? Add effects, music, graphics, etc. 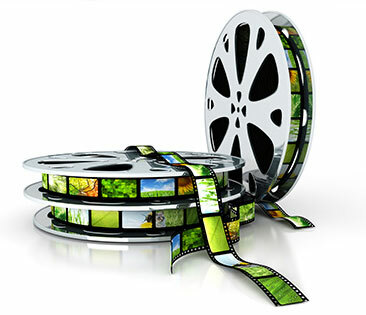 Video editing is considered as a part of post production process in manipulating video shots. Some other post-production tasks contain titling, audio mixing color correction and so on. Most people choose to use video editing to describe post production tasks specially in casual situations. Paid video editing software usually offers more features and support, but there are a lot of powerful free video editing programs out there, too. For most video editors, this step can be the most simple and common one. Video can be enhanced dramatically just by deleting those unneeded or flawed bits. There is always much footage in the video that you don’t need actually, thus you need to shoot some of them and choose those best ones. Usually some versions need to be shot and the best one will be chosen for video editing. Many people use their videos either to tell their stories or provide information. If you want the videos flow in the way you can achieve your goal, editing video is a necessary part. This can be the most important part of video editing. 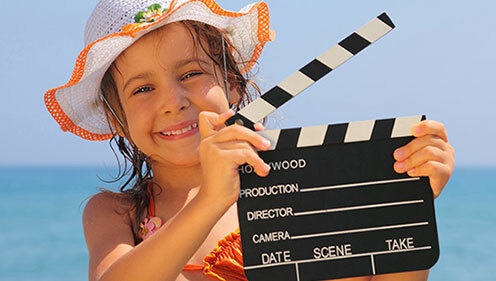 Various elements can not only enrich your video but also can give you much fun. As a professional editor, you need to create subtle mood prompts for your video. There are techniques like visual effects and background music may lead to the way your audience react. If you want to show your specific viewpoint, deliver messages or serve your agenda, you can tailor the video to these “angles” to suit your needs. As most audiences shrink their attention span, various types of media are fighting for viewer’s time online. It’s undoubtedly a good thought to make your video as short as it can be. Although it is true in most situations, I find that some placed pauses can make viewers watch easily and can make them stay for longer period. 2. Utilize intro & outro video clips. As we know, most video editors choose to use cross dissolves at the beginning or ending of the scene in order to trigger the viewer’s understanding subconsciously of the video. You can use fade to blacks and wipes. J-cut comes from the shape of the letter J, which means in the video editing is playing audio from the coming video clip before seeing your video it corresponds to. In other words, don’t overdo it. It is a natural way since in reality we usually choose to see where the noise was when it occurs. When you are editing video clips, which means hearing completes earlier than seeing. If you pay your attention to the suspense thriller you will watch in the future, you will find that such kind of editing happens at most times. Oftentimes some good looking videos may be fraught with the audio which comes with “ummms” or other useless words during the interview. Thus many slurred words can’t be separated from each other. Even though you successfully cut out a relatively long breath, an “umm” or other comment will still be there. Short audio fade can solve the problem. You need to be patient and take some finesse but it will save some time if you cut out 7-10 of these in an interview, which will extend the video course. 5. Add markers to the audio tracks so as to easily know where to edit. In most cases, you may get the video clips with music and you will see that the waveform of the music displayed, thus you may need to make some editing so as to match the places where the audio hits on a beat or gets decreased volume. This can be a good way, however when you play your music back first and then add makers, you will find the markers in the timeline. It is allowed to line up the video clips to the markers and they can automatically snap into place.